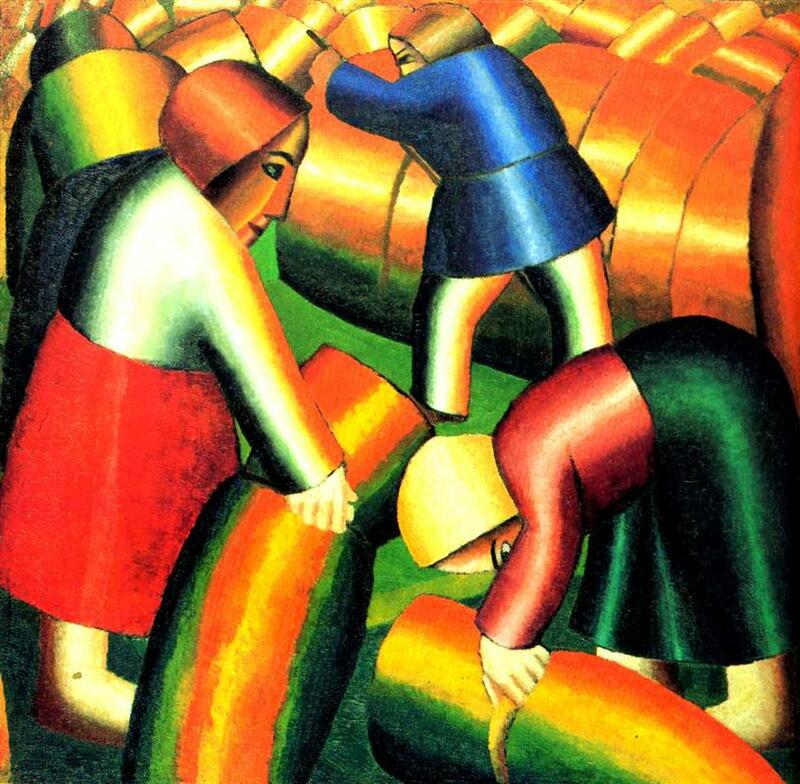 Kazimir Malevich (1878-1935) was a Polish-Russian painter and a major figure in the development of abstract art. 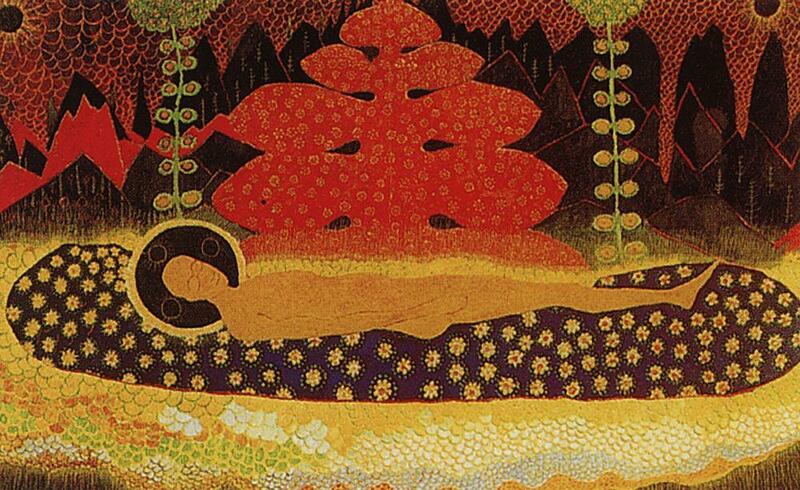 Born Kazimierz Malewicz to a Polish family living in Kiev. His parents fled to Kiev in the aftermath of the failed January Uprising of 1863 of the Poles against the tsarist army. 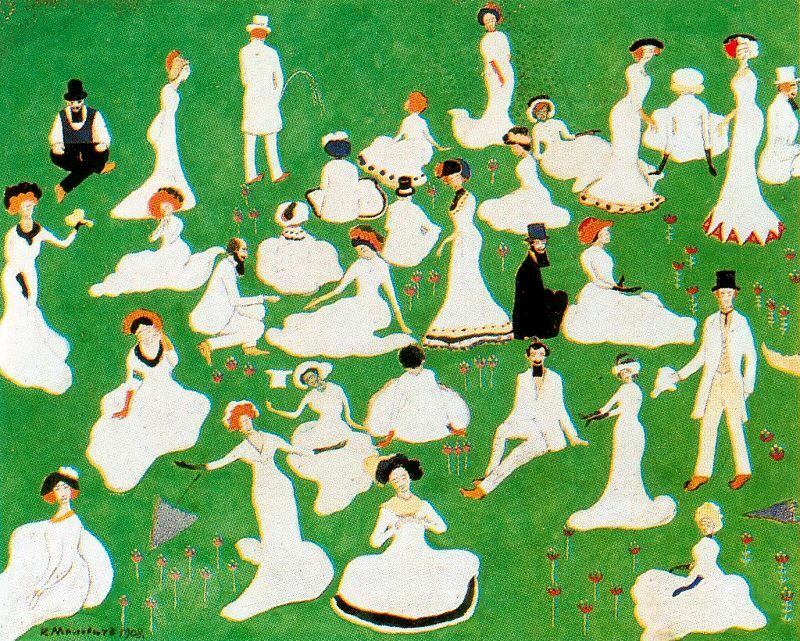 After learning a lot from decorative art like embroidery and wall decoration, Malevich moved to Moscow in 1904 to study at the Moscow School of Painting, Sculpture, and Architecture. 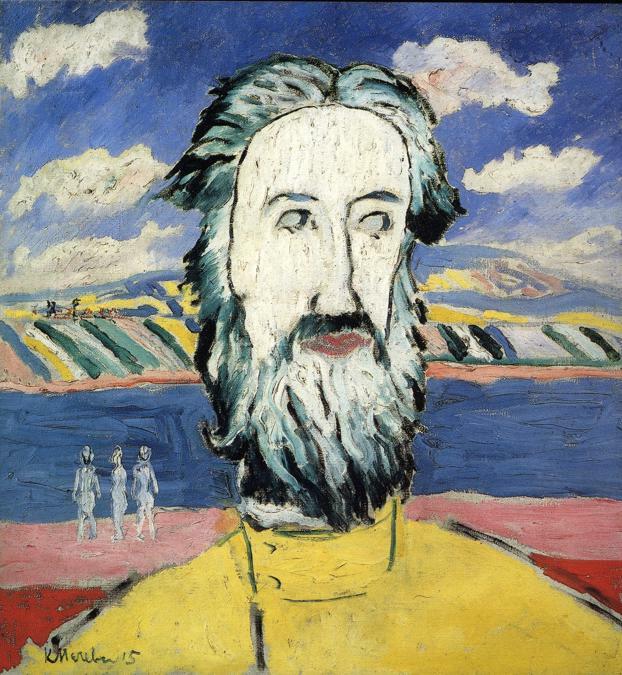 He became a member of the avant-garde movements in Moscow and St. Petersburg, becoming friends with artists like Vladimir Tatlin and Marc Chagall and exhibiting with artists' groups and collectives. 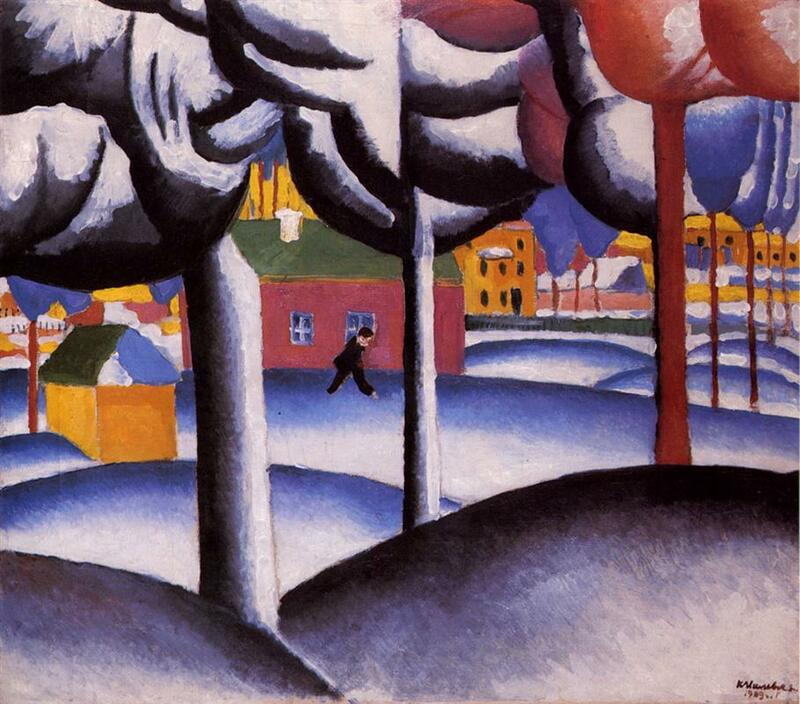 Malevich's earliest work which was quite varied, with folk-inspired landscapes and patterns. 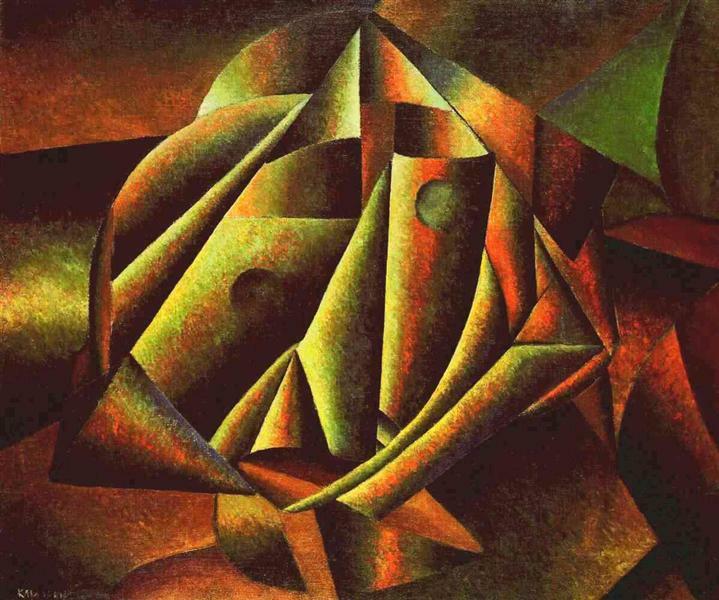 He soon moved into Futurism and Cubism, often combining the styles. 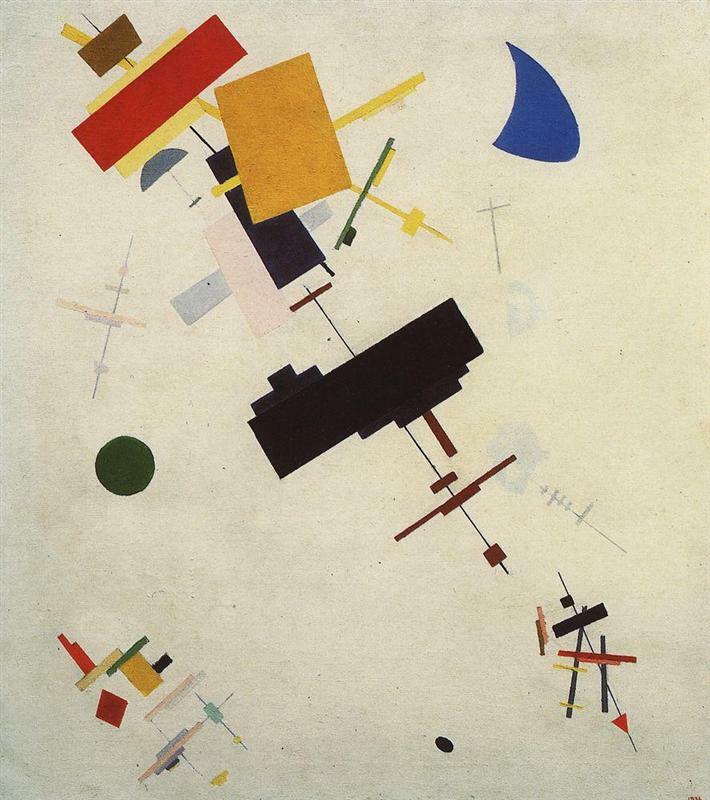 In 1915 Malevich founded Suprematism, with his manifesto From Cubism to Suprematism. The styles employs geometric forms with a varied or limited range of colors, to emphasize pure feeling over the depiction of objects. 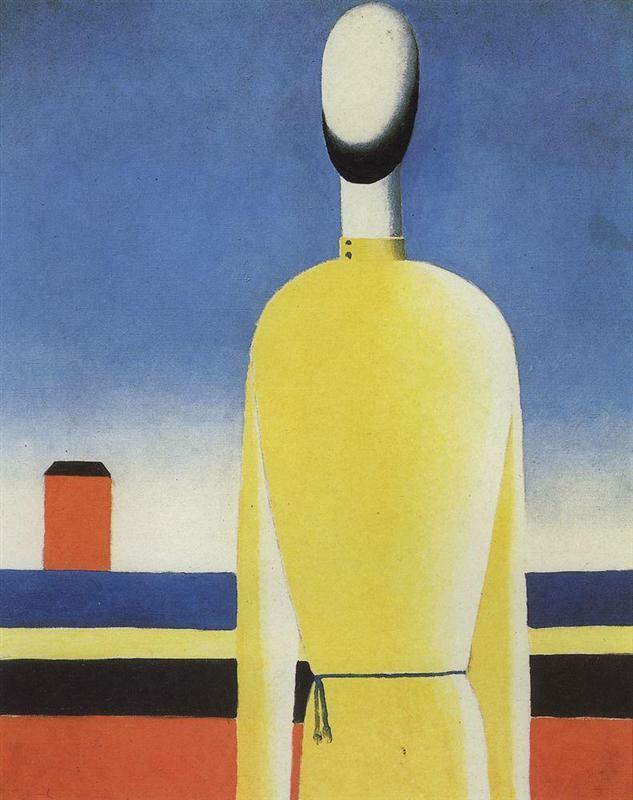 Malevich gained international acclaim, as well as a place teaching in the Post-Revolution Soviet regime. 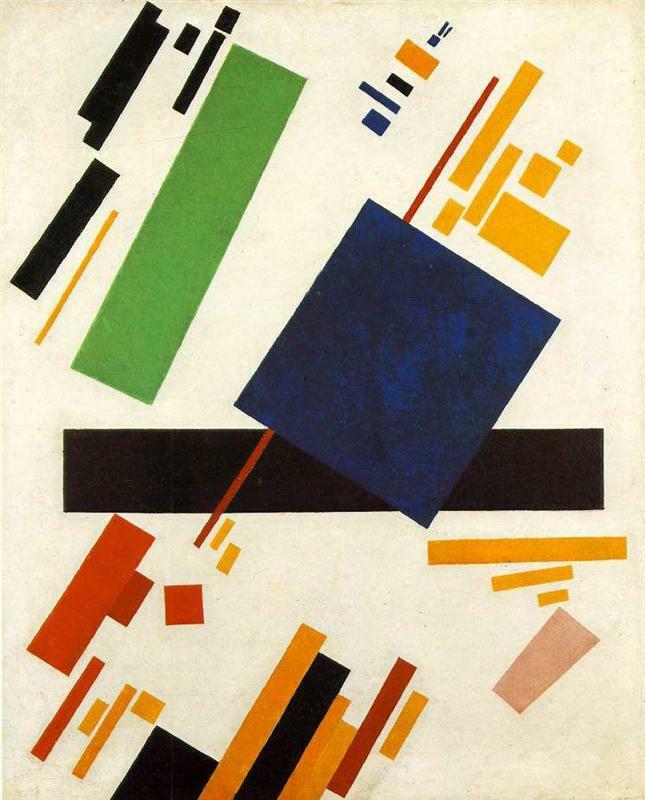 However, he sensed the tide turning against modern art after Lenin's death and Trotsky's fall from power. 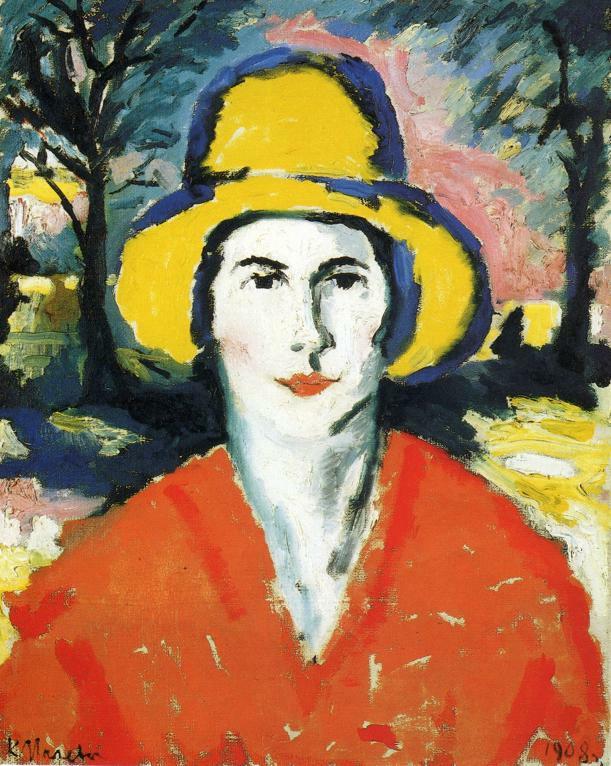 When he traveled to Warsaw, Berlin, and Munich to exhibit, he arranged to have most of his paintings left behind, for fear they would not be safe in Moscow. 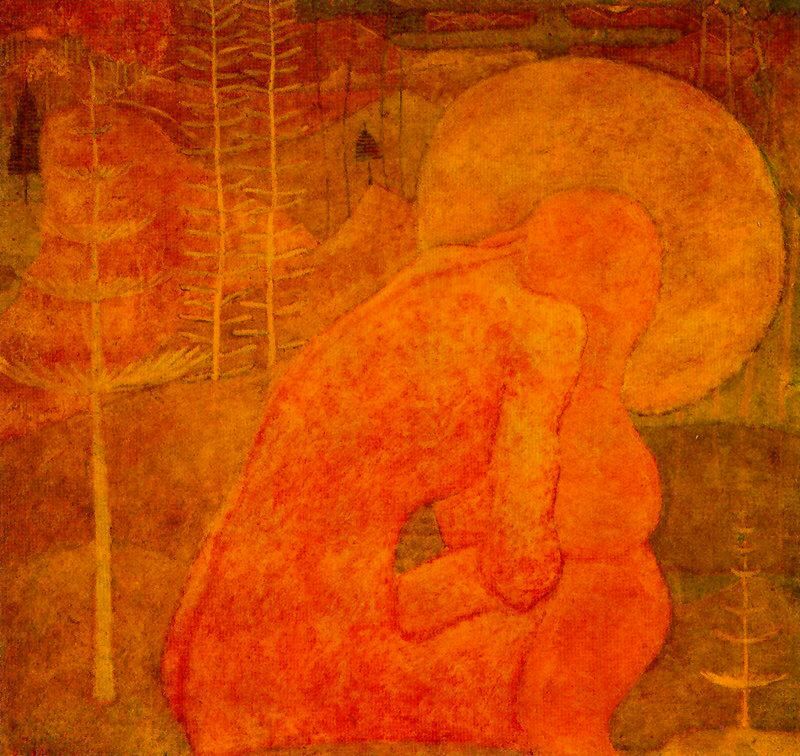 When he returned, he was proved right when the Stalinist regime turned against modern "bourgeois" art, especially abstraction. 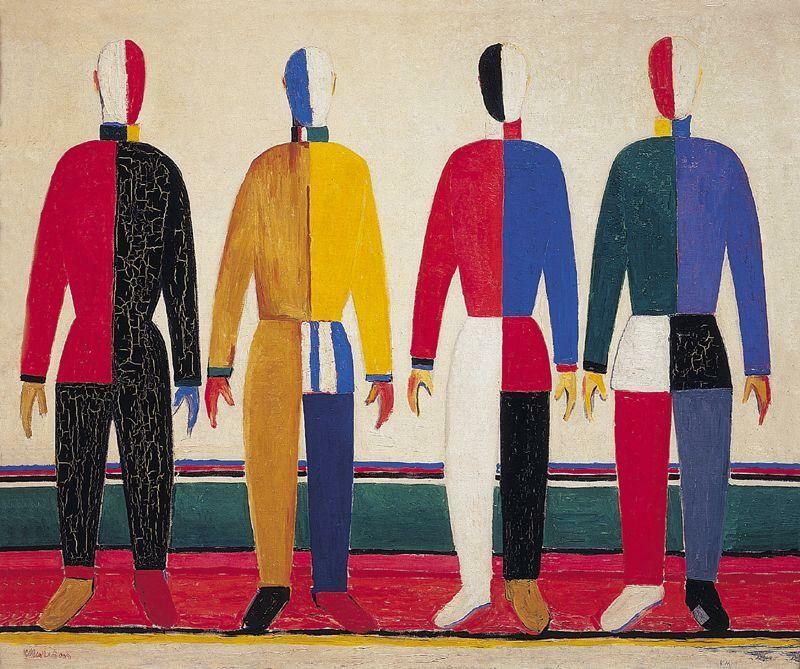 Malevich was banned from creating or exhibiting such art. 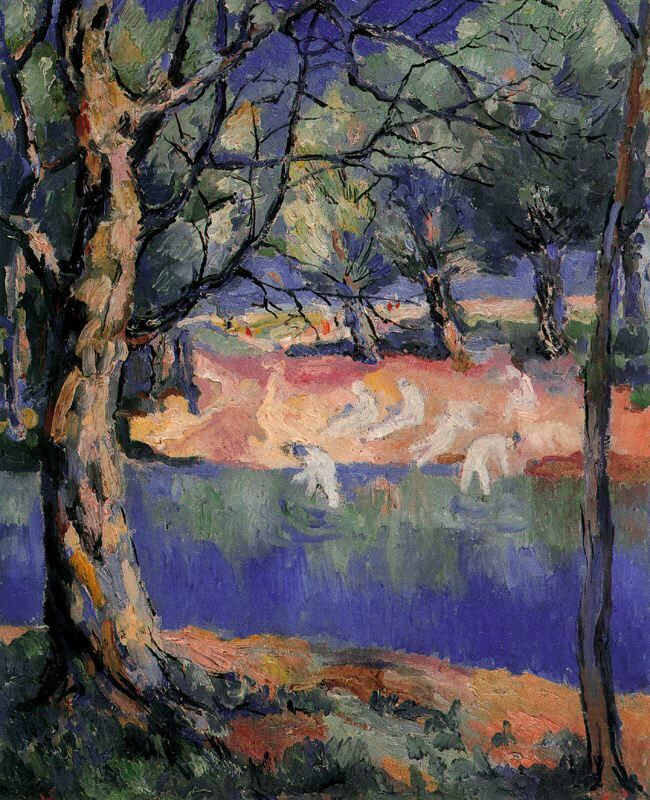 He continued to paint in his later years, still producing works of great interest, beauty, and social consciousness, but without his signature style. 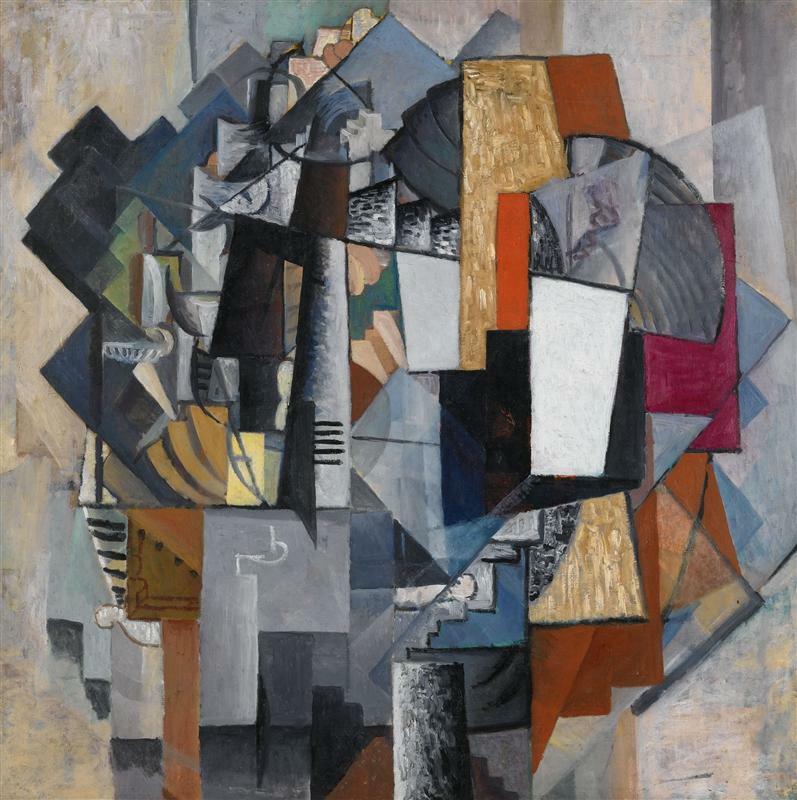 The Knifegrinder is one of Malevich's great Cubo-Futurist masterpieces. The painting successfully combines the two genres, bearing the color and fragmentation of Futurism and the abstracted geometry of Cubism. We can discern the subject of the painting, the titular knifegrinder hunched over his work, but the distortion is extreme so that we must peer into the scene. The entire scene looks refracted, as though viewed through some kind of filter. The radial impression of the painting is enhanced by the spinning sharpening wheel at the center of the composition. 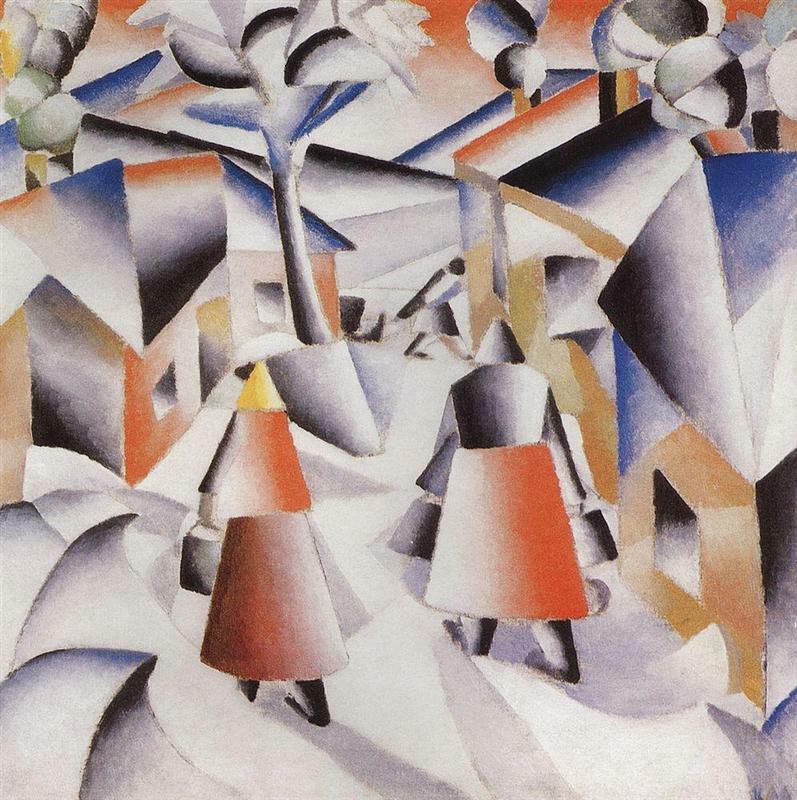 Some of these basic features are typical to Futurism, but Malevich's skill in brining them to life and giving the piece movement is remarkable.